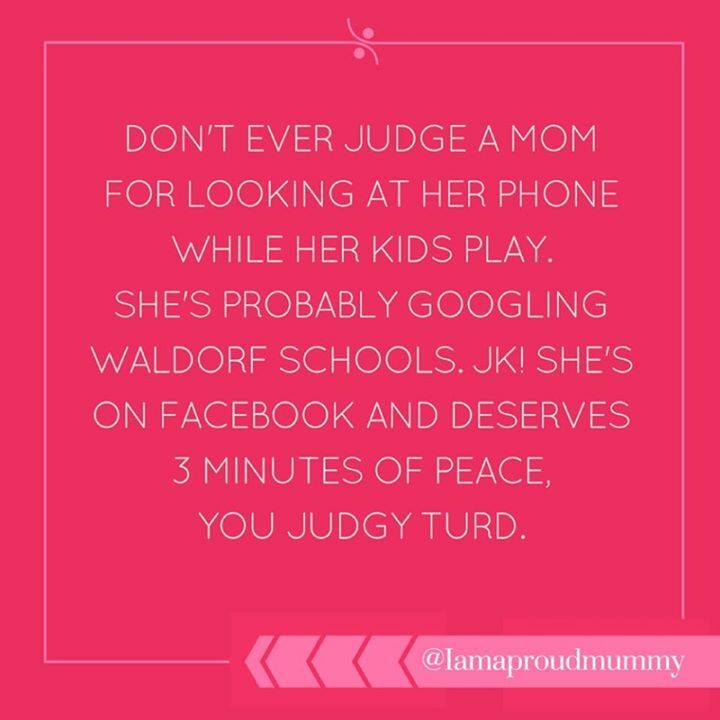 DONT EVER JUDGE A MOM FOR LOOKING AT HER PHONE WHILE HER KI - ProudMummy.com the Web's Community for Mums. DON'T EVER JUDGE A MOM FOR LOOKING AT HER PHONE WHILE HER KIDS PLAY. SHE'S PROBABLY GOOGLING WALDORF SCHOOLS. JKI SHE'S ON FACEBOOK AND DESERVERS 3 MINUTES OF PEACE, YOU JUDGY TURD.